As a substitute for all calorie-containing drinks (no matter if tap, table, spring or mineral water). 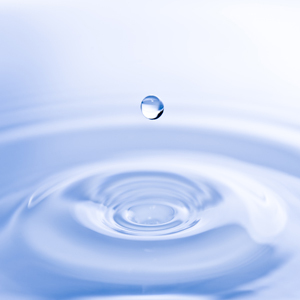 Water really replaces all drinks, including spirits, beer, champagne, wine, cocktails, sodas, cola, malt beer, milk, fruit teas, fruit juices, vegetable juices, all sorts of juice. The natural sweetness Sucolin is the ideal non-calorific sugar alternative: it consists of 100% erythritol - a natural sugar alcohol, which is used, for example, in occurs in pears and melons and has no alcoholizing effect. The recovery of erythritol is 100% natural due to the complete fermentation of glucose (glucose). While other sugar substitutes very quickly cause bowel problems, suculin is largely absorbed in the duodenum and excreted unchanged via the kidney, making it very well tolerated. Since Sucolin does not contain any chargeable carbohydrates, it does not affect blood sugar and insulin levels. This also means that it has a glycemic index of 0 and 0 BE (bread units). Sucolin is tooth-friendly, because caries bacteria can not metabolize erythritol and so do not produce tooth-damaging acids. 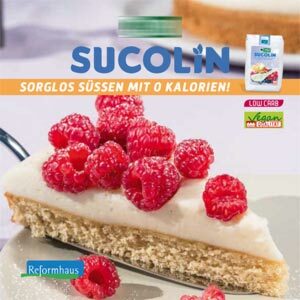 Sucolin is suitable for those who consume less sugar and want to save calories, as well as for use in diabetes and diets. Curd is milk protein (casein) precipitated from the milk by the addition of rennet or bacterial production of lactic acid. 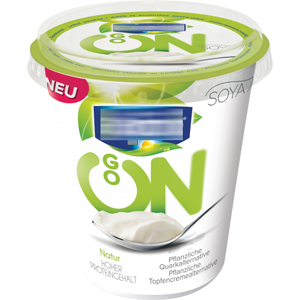 The liquid separated from the coagulated milk components, the whey, is more or less thoroughly removed by pressing and filtering the fat, so that curd forms a soft to crumbly mass. Curd serves as a food and as an intermediate in cheese production. For the consumer, the word "curd" is usually only for curd. This is mainly produced by lactic acid production but with the addition of small amounts of rennet. 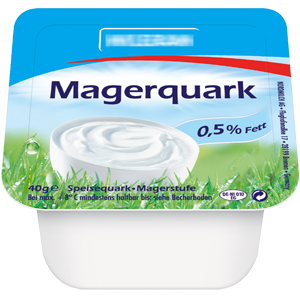 In particular, low-fat curd is a cheap source of protein and also has a very favorable nutrient ratio of protein to fat and carbohydrates. Therefore, lean body fat is consumed by bodybuilders without additives. Due to its low energy and fat content it is well suited for reduction diets. Tofu (also known as bean curd or stale bean cheese) is an originally Chinese food, and moreover Asian food, which is increasingly being eaten in the Western world. Tofu is especially used by vegetarians and vegans. Tofu is made from a white soybean dough that results from the denaturation and coagulation of proteins in the soymilk. The curd that results is dehydrated and then pressed into blocks. This process is very similar to cheese making from milk. Tofu has by nature only little taste and is almost odorless. As such, tofu can be prepared either in a savory or sweet way, serving as a carrier of the flavors of the other ingredients. 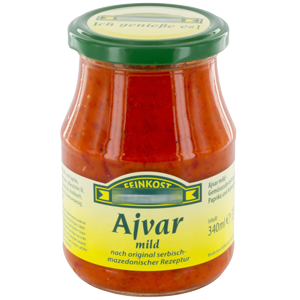 Ajvar (other spellings: Aivar, Ajwar) is a paste of paprika or alternatively paprika and eggplant, which is served cold to meat dishes, or serves as a seasoning and spread. As a low-calorie substitute for butter and other fat spreads, in connection with hearty breads such as sausage or cheese, Ajvar or similar, or related products (Pindjur, Letscho, Ogonek ...) are ideal. Tzatziki is an appetizer of Greek cuisine made from Greek yogurt or lean curd, cucumber, olive oil and garlic. The caloric density is approximately 1 kcal per gram. 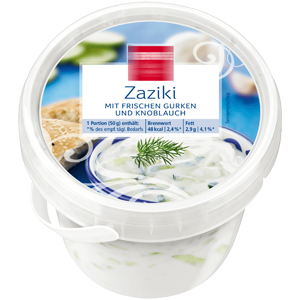 Tzatziki is well-suited to diets because of its low energy and fat content. First of all the shock: there is only one real kind of nut, namely the hazelnut. 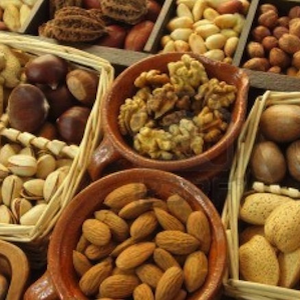 All other nut varieties or nut species known to us are in reality mostly so-called drupes. These include coconut, macadamia nut, almond, pecan nut, pistachio and walnut. The extremely widespread peanut is - botanically seen - a legume like the pea. The Brazil nut is a capsule fruit and the cashew nut is just a fruit. At the end something amazing the strawberry is a collecting nut fruit.